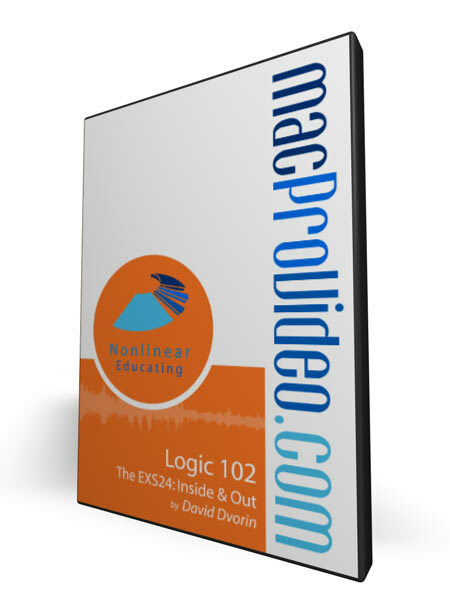 I first met David when I was asked to write The Apple Pro Training Series: Logic 6. David Dvorin created and directed the Education Department at Emagic, and when I met him he had moved on to become the Manager of Educational Development for Apple's Pro Apps division. Since then David has been my go-to guy ... when I have a question about Logic, I ask him! I've personally learned a lot from David. In fact, I still learn a lot from him ... David is one of the foremost Logic educators in the world today. David's credentials are impeccable! Besides his work as an education specialist for both Emagic (the maker of Logic before Apple bought it) and the Professional Applications division at Apple Computer, David has also acted as a consultant for Native Instruments. He is the author of Apple Pro Training Series: Advanced Logic Pro 7 published by Peachpit Press, and is a music professor at Sierra College and California State University, Chico. 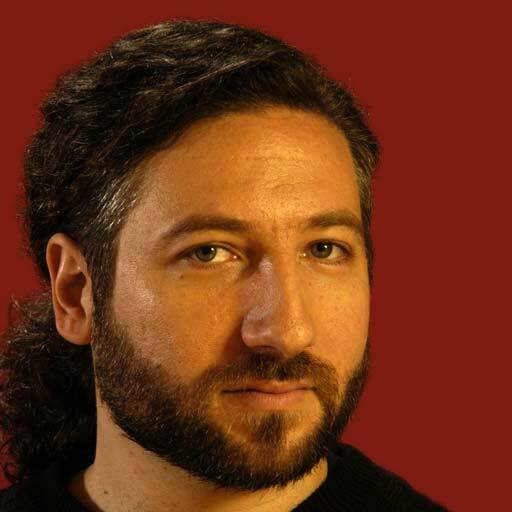 A frequent presenter at music technology conferences, David gives workshops and seminars on computer music and education throughout the United States and Canada. David�s activity as a composer/performer includes performances at numerous new music venues, technology conferences, and music festivals. His last CD release, With(in)communicado, has received much critical acclaim and airplay, both internationally and throughout the U.S., including an entry in the All Music Guide (www.allmusic.com). He has worked extensively with a wide variety of artists and musicians, including the Kronos Quartet and multiple collaborations with composer Terry Riley. A classically-trained musician, David received a B.A. in Music Composition from the University of California, Los Angeles, and an M.F.A. in Music Composition from the California Institute of the Arts, where he studied with Morton Subotnick, Stephen L. Mosko, and Wadada Leo Smith. While attending both schools, he worked professionally as a film, multi-media and television composer, and was nominated for an Emmy Award in the category of Outstanding Achievement in a Craft: Music Composition, as an undergraduate. Great course and work by David Dvorin! David goes through each part of the EXS 24 with precision and visual examples of what each part of it does. 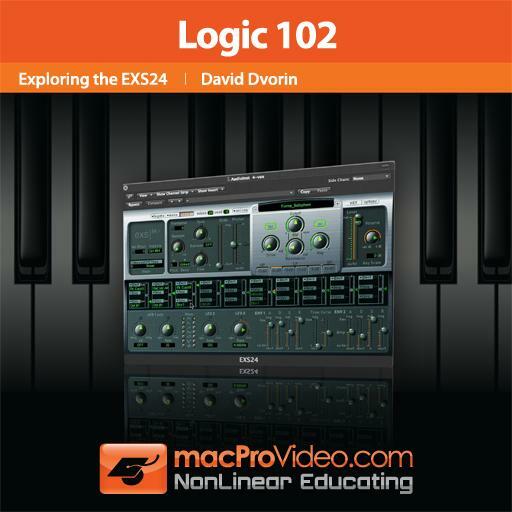 The EXS 24 is a workhorse for Logic and this course takes you through it completely! Besides working with the interface, David also takes the viewer through the editor section of the EXS 24 where one can program specifics to any sample or voice they wish to drag and drop. All in all, an excellent course! Bravo! Very good overview of Logic Pro's EXS24 Sampler. I forgot how versatile this little sampler is after all these years of using Contact. David Dvorin taught me things about the ESX24 that have sat under my nose for a minute. Well with this tutorial that is no longer the case baby!!!! I don't mean to grumble, and I won't deny that a lot was learned from watching this course- but I have to say, David's explanations are incredibly cryptic. It sounds a lot more like he's just reading from the manual, rather than trying to rephrase complicated terminology in ways that most consumers will understand. On the whole, my advice is to do some background research on the EXS PRIOR to watching these videos (if you ARE going to bother with them, that is), as I really don't feel they cover all the bases for a complete beginner such as I. Great tutorial, nothing to question about, but an in depth of the use of this instrument for glitch effects would have been interesting, since I've seen many people using it for this purpose. No complains though. The update of this tutorial for logic 9 is just as great, but old watching old versions like this one always gives you an in depth of the evolution of the plugin that allows you a better comprehension of little details. Great video. Expected much more in terms of examples and performance. Theory was educating but should have had more hands on practicals to relate the best of the software plugin. A bit disappointing compared to. I won't say it isn't for beginners, but there's a lot here to be learnt, so try to watch it when you have more than just a couple hours free on your day. 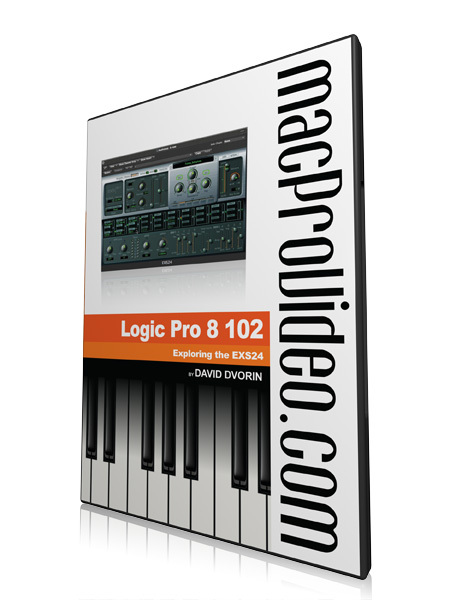 I'm really digging this Logic 9 tutorial series! I love how this one delved deep into every little button and menu option of the EXS24. I've been wondering what how to do some of this stuff for years!